Reduce acne by up to 80% without the use of topical or oral medication with Forever Clear BBL™ Acne Laser Treatments! Acne can be devastating. Whether you suffer when you are young or far into your adult years, its effects are universal in their ability to decrease our self-esteem and self-confidence. To make matters worse, many patients find that their acne is resistant to traditional topical and oral therapies. It’s time to treat your acne with an entirely new approach, Forever Clear BBL™. Unlike other conventional acne therapies available today, Forever Clear BBL™ utilizes the power of broad band light (BBL) to destroy acne where it starts, deep beneath your skin. Not only does this light energy kill acne-inducing bacteria, but it also decreases the redness and inflammation that commonly accompanies pimples and blackheads. You can expect to clear up to 80% (if not more) of actively inflamed acne lesions with a series of Forever Clear BBL™ treatments. And, it’s all done without the use of oral or topical medications and can benefit any area of the body that is affected by acne. Before your Forever Clear BBL™ treatment series, your certified laser technician will conduct a thorough consultation to discuss your history with acne and ensure you are a good candidate for treatment. If you have been prescribed and are currently using any acne medications, your provider will discuss how to work these into your treatment series, but you may be required to discontinue their use in some cases. You may also be recommended key skincare products with ingredients that are beneficial to further clearing your acne throughout your Forever Clear BBL™ treatment series. Before your procedure begins, your skin will be thoroughly cleansed, and your eyes will be covered in protective eyewear. A thin layer of clear gel will then be applied to your skin for the laser handpiece to glide over and to direct the broad band light. Although your eyes are covered, you will experience a rapidly pulsating light moving across your skin. It may feel slightly warm, but the treatment is very comfortable. When absorbed by your skin, this light not only kills bacteria deep within your pores, it also reduces facial redness and slightly stimulates collagen production which may make acne scarring appear less pronounced in the future. A Forever Clear BBL™ treatment takes no more than 15 minutes to perform. *Please note that we offer several other therapies that may be more beneficial for acne scarring if this is your primary concern, such as HALO™, Pixel®, and SkinPen® Microneedling. Immediately following your Forever Clear BBL™ treatment, your skin may be slightly flushed, but this will subside within two hours. 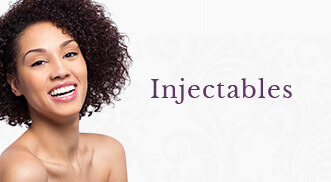 There is no downtime associated with treatment and makeup can be worn immediately. Your certified laser technician will discuss sun protection and proper homecare in between your treatments. You will notice a reduction in both the appearance and number of acne lesions as the days progress after treatment. Redness will gradually fade, and you can expect fewer and fewer breakouts with each subsequent treatment. A series of six to eight weekly treatments is recommended to reduce overall bacteria production, decrease inflammation and to keep skin consistently clear. Schedule a follow-up treatment every three months to maintain your results! Acne can be stubborn! Because Forever Young BBL™ is the only therapy that works for many of our patients, they join our MRewards membership to save on treatments and select acne care products throughout the year!